Fire and Smoke Damage Insurance Claims - ALL RISK PUBLIC ADJUSTERS "
A fire loss is a devastating experience for families and businesses alike. The stress and confusion makes navigating the complicated process of filing an insurance claim all the more challenging. To make matters worse, short-term decisions regarding restoration contracts can later impact your ability to receive a fair claim. The fire insurance claims adjusters at ALL RISK Public Adjusters manage the process of filing an insurance claim to ensure you get the maximum return and help you get back to living your life. Every basic insurance policy covers fire damage, providing the fire was not a result of arson. The most common causes of residential fire damage are heater malfunction, human error (smoking or candle) and electrical fires. 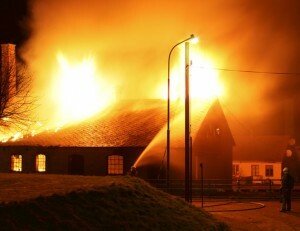 An insurance claim can be made for fire loss as long as the damage to the property exceeds your insurance deductible. It is important to also include smoke damage in the claim. Smoke can cause damage to your home and belongings in areas beyond the source of the fire. In addition, damage caused by soot, heat and even the water used to extinguish the fire, are included in a claim. The fire insurance claims adjusters at ALL RISK Public Adjusters take all of this into account when evaluating the scope of fire loss and damage. We help you determine the degree of damage to the structure and your belongings, and the impact on your business or residence. This includes determining which items are reparable versus a total loss and therefore must be replaced. Returning your property to its pre-loss condition can require the services of structural engineers, appliance and electronics technicians, and cleaning and restoration specialists. Our claims adjusters can help you coordinate these efforts and ensure that the authorization forms will not create disputes with the insurance carrier that later impact your claim. Recovering from a fire loss can be a complicated and lengthy process. Let the fire insurance claims adjusters at ALL RISK Public Adjusters be your advocate. We work for you, reducing your burden while ensuring you get the maximum claim to which you are entitled.